There’s a lot to like in the International Olympic Committee’s “Olympic Agenda 2020” — IOC president Thomas Bach’s 40-point reform plan designed to make the Olympics more desirable to potential host cities. The plan calls for the use of existing venues, rather than the construction of expensive stadiums that could become white elephants, like we saw with the 2004 Olympics in Athens. It calls for common sense reforms like promoting gender equality and placing limits on the number of total events in the Olympics. It also calls for a bunch of cost-reduction measures — like letting international federations run events rather than the IOC, allowing host cities to stage some events in other cities or countries, and having the IOC eat much of the logistical costs of bidding. Sure, there’s some brand-conscious nonsense and empty platitudes in there (one of the 40 recommendations is “comply with the basic principals of good governance”), but after the disastrous 2022 bidding process, this reform plan is a step in the right direction. Despite that, the plan fails to answer the one question that will define the future of the Olympics: Who pays? The bidding for the 2022 Winter Olympics was such a train wreck because democratic nations have realised that hosting the Olympics is not a sensible economic investment. For decades the IOC was able to convince governments to foot the bill for the games, producing economic impact studies that showed how hosting the Olympics will make you rich in the long term. Academics and researchers have long maintained that this is a lie — the things a city needs for daily life are not the things you need to host the Olympics — and now cities agree. 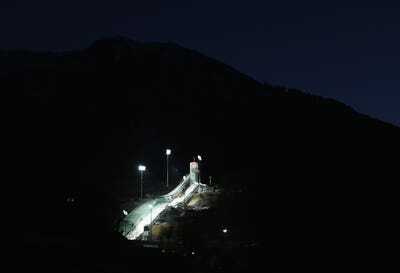 Julian Finney/Getty ImagesThe Sochi Olympics cost a record $US51 billion. The only two cities left in the 2022 bidding are Beijing, China and Almaty, Kazakhstan. That $US880 million sounds like a lot, but it’s less than one-fifth of the estimated $US5 billion the Oslo games would have cost. For the $US51 billion Sochi games, that IOC contribution would have been a drop in the bucket. And this is where the reform plan fails. 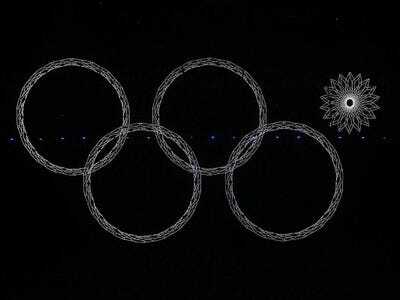 It’s a matter of advertising the amount of money the IOC contributes rather than increasing the amount it contributes. The IOC should promote the maximum use of existing facilities and the use of temporary and demountable venues. The IOC should allow, for the Olympic Games, the organisation of entire sports or disciplines outside the host city or, in exceptional cases, outside the host country notably for reasons of geography and sustainability. The IOC should consider as positive aspects for a bid: the maximum use of existing facilities and the use of temporary and demountable venues where no long-term venue legacy need exists or can be justified. The IOC should reduce the cost and reinforce the flexibility of Olympic Games management. The IOC should pay much of the logistical cost of bidding. These are all good things! But it doesn’t change the reality that cities have to foot a huge proportion of the bill for the Olympics — which is why no one wants to host the winter games right now.